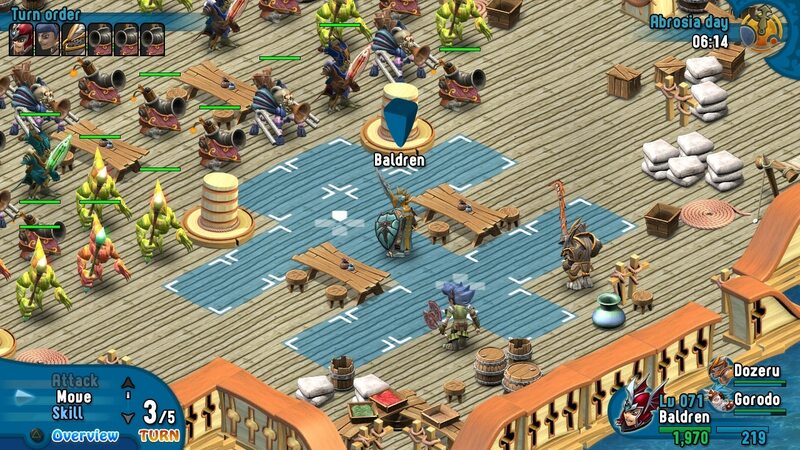 Rainbow Moon is a old school role playing game in many ways, both for its benefit and to its detriment. It has now seen life on PlayStation 3, PlayStation Vita and recently on the PlayStation 4. For anyone who knows me personally, and my taste in games, they may be indeed surprised that the PS4 version constitutes my first experience with the game. Granted, I certainly knew of it’s existence and was recommended to play it a few times. But now I have finally experienced it for myself. And to make things worse, Baldren isn’t only stranded in an unknown place; he has also opened a dimensional gate out of which troops of monsters are crawling, turning this once peaceful planet into a real hell. There’s only one thing for our brave hero to do: He has to seal the gate and warp himself back to his home planet. There is really not any more to the story than that, as this is most emphatically not a story based RPG. This is also not a character based RPG. If anything, this is purely a mechanically based one. What that means, is that there is no real story development, no real character development or dialogue, there is only leveling of characters to take on specific challenges. There is minor written dialogue to send you from one quest to another and to tell you where to find items that you need. But there is no voiced dialogue, there is no real choices, and none of the characters have any real emotional resonance. Both the main character and the main villain are both very one dimensional. But I suppose that not every game has to involve Kefka destroying the world and becoming a god. In this case, your rival and you are basically both trying to get home. And neither of you is all that interested in really doing much other than avoiding the other one. This is our main character, exploring the land he is stranded in. The main character can be any name you wish, as can any other party member in the game, but his default name is Baldren. He is the classic tank type character with the sword and board. Thankfully this is a good strategic choice from the developers. You gain party members pretty slowly, and there was no time that I wanted a party without a tanking character in there. We’ll get more into the strategic reason for that later. Even though he is a tank, you do have to beware of the strength and weakness system in this game. Like other game franchises do with elemental weakness charts, this game does with weapons. For instance, your tank is strong against staff type enemies (dealing them extra damage and receiving less from them), but weak against piercing weapons (for the opposite effect). That system is of paramount importance to the game for continued success, and will cause your downfall if not respected. You gain a trickle of new party members slowly, starting with an archer, until you have a diverse array of 6 party members. However, only three can be deployed into battle at any time. Three of us… against how many!?! Walking around the world will resemble many modern RPGs, but with the caveat that random battles are entirely optional and you must press a button to engage in them at all. 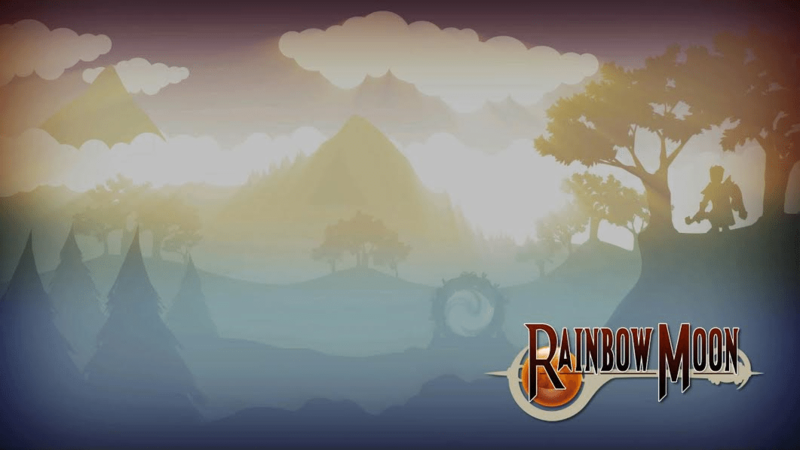 The random battle will disappear after a short while or when you encounter any interactive object. That second part can be a bit frustrating at times if you are trying to grind, so it’s best to find an open area to walk around in that doesn’t have any objects that you can use, such as signs or switches or vendors. Once you enter battle, the screen looks much like the one above. Your (up to) three characters are deployed in an array that you determine in your menus as your default, and Turn order (in the upper left) occurs in order of your Speed stat. 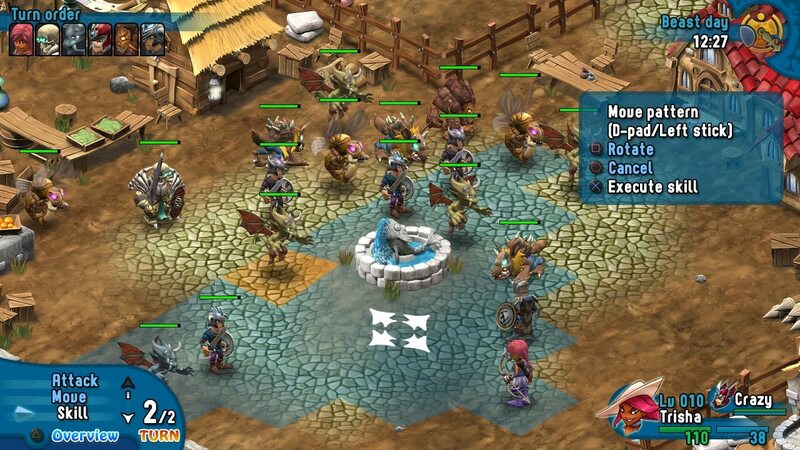 Movement and action takes place in the style of modern Japanese turn based strategy RPGs; similar to Tactics Ogre, Final Fantasy Tactics, Disgaea, etc. It mixes that strategic style with the more standard RPG systems of only receiving experience after the battle is over and only having access to the characters that you entered the battle with. Unlike most other RPGs and SRPGs, though, you will almost always be outnumbered in battles. Sometimes severely outnumbered, like 35-3 enemies to characters. This can make even random battles pretty long affairs. Oh yeah? Can you make a supernova with your bow? You have a limited number of “sub-turns” within each Turn. This number will go up as you level. If you have two sub-turns that means you can move two spots, or that you can move one and then attack once, or if you don’t move you can attack twice. After you deplete your sub-turns the next character or enemy on the Turn order will take their action. Most of the strategy, especially mid-to-late game strategy, is focused around when to attack and when to Defend. Using Defend in this game is probably more important than any other RPG that I’ve ever played. They really don’t highlight enough how important it is. Instead of like other games where Defense lowers damage received by about half, in this game Defend lowers damage to about 1/10th. So, if you are not defending, you are likely to be owned by anything even near to your level. And the damage is especially horrific if they are your opposing weapon type or if they get a critical hit. So you need to plan your moves and your defense carefully to avoid as much damage as possible, but when you have time and space to take out an enemy, go in hard to finish them off. In this way special moves become important. They often perform two functions; one is to finish the enemies off quickly so you can Defend your last sub-turn, and the other is that they often allow you to move while performing the skill itself, so you don’t have to use a separate turn exclusively for moving into or out of range. Plus, they are pretty flashy, as you can see above. Deployment positions can affect your survival rate. If enemies are at, or greater, than your Speed is, your starting positions can matter quite a bit. Unfortunately since the enemy positions are so random there is not much you can do about it. But if you start a battle and there is a high speed enemy within range of you, they can often kill you before your character even has a turn. This happened to me so often that I had to bring it up. 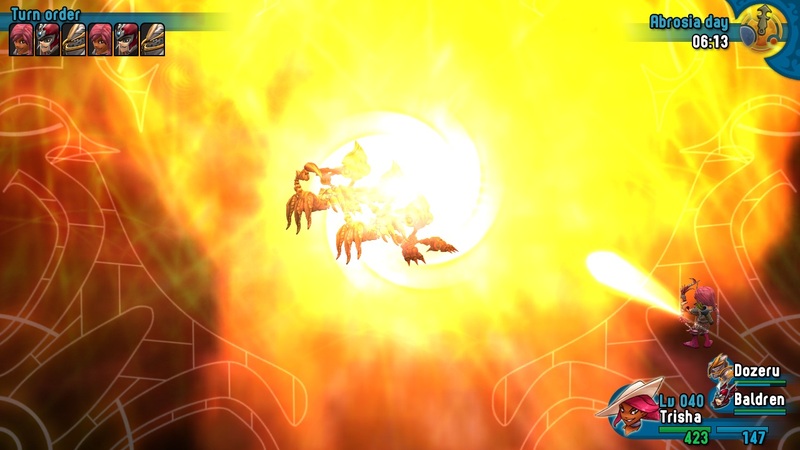 Especially as you reach close to the end game, when enemies will often have pretty far reaching attacks. While your squishy (clothie) characters, such as your archer or mage, are particularly vulnerable to this, even your melee characters are often in danger. 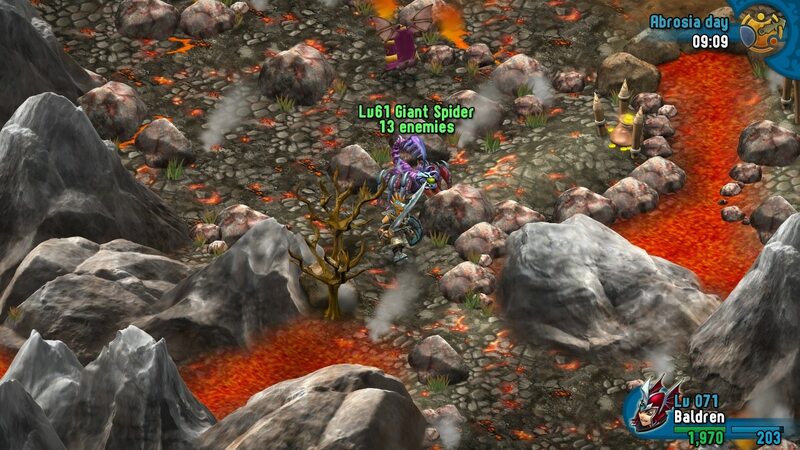 And this isn’t just going against higher level enemies, this will happen a lot with even equal level ones. Unlike other modern RPGs, such as the Hyperdimension Neptunia games, you have to find or purchase patterns to place your characters in as they deploy, you can’t just chose any deployment you want. Also, no character that is not in the party at the start of a battle will earn any XP for the battle. There is no XP sharing, so if you want to level more than 3 characters, you will need to make use of grinding a lot of random battles. So choosing who to deploy and how to deploy them is important.